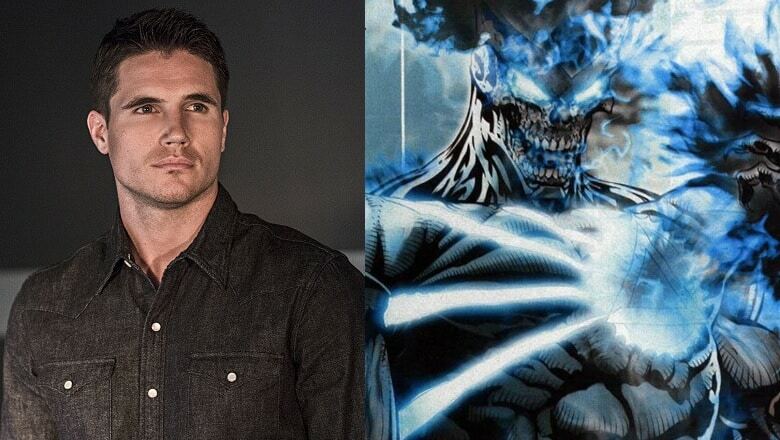 Yesterday, a set photo from The Flash revealed that Robbie Amell would be returning to the show in one way or another after his death in the season two premiere. Entertainment Weekly has now confirmed that Amell will be returning to the show with a very big twist as he will not be returning as Firestorm, but instead as the villainous Deathstorm. EW got this following statement by Andrew Kreisberg about Deathstorm, who will be the Earth-2 version of Ronnie Raymond. A previous trailer for upcoming episodes of The Flash has revealed that on Earth-2, we will be seeing Caitlin Snow as Killer Frost, so it makes a lot of sense that the Earth-2 Ronnie, has gone a different path than Earth-1’s Ronnie. EW confirmed that on Earth-2, Killer Frost and Deathstorm will be a couple, meaning double the trouble for The Flash. While it wasn’t revealed what episode he will be in, you can look forward to seeing Amell back on the series in the second half of the season. The Flash returns with new episodes on January 19, 8/7c on The CW.